Former Super League prop Ben Davies has committed to League 1 side Oldham for a third season. Davies, 29, played 37 times in the top flight for Wigan, Widnes and Castleford, and moved to the Roughyeds from Whitehaven in 2017. He missed the first half of last season with a back injury. Coach Scott Naylor said: “He missed a lot of pre-season work but his back troubles have now been sorted out by our physiotherapists. 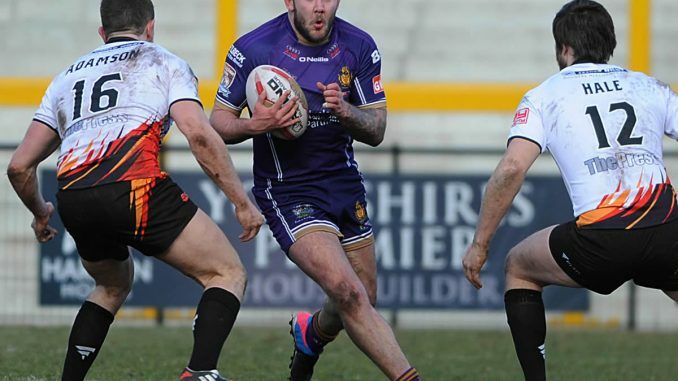 Davies becomes the 10th player signed up by Oldham for 2019.